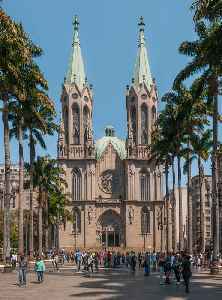 A cathedral is a Catholic church that contains the cathedra of a bishop, thus serving as the central church of a diocese, conference, or episcopate. The equivalent word in German for such a church is Dom ; see also Duomo in Italian, Dom(kerk) in Dutch, and cognates in many other European languages. Churches with the function of "cathedral" are usually specific to those Christian denominations with an episcopal hierarchy, such as the Catholic, Anglican, Orthodox, and some Lutheran and Methodist churches. Church buildings embodying the functions of a cathedral first appeared in Italy, Gaul, Spain and North Africa in the 4th century, but cathedrals did not become universal within the Western Catholic Church until the 12th century, by which time they had developed architectural forms, institutional structures and legal identities distinct from parish churches, monastic churches and episcopal residences.